Accommodation in Kendal, Cumbria . At Lakeland Maze Farm Park, we have a small camping field available. Whether you are camping or in a caravan, our site is the perfect hub for both short and long stays if you plan to discover the Lake District. Of course, one of the Lake Districts best visitor attractions, Lakeland Maze Farm Park is right on the doorstep of the camping field. You can include unlimited access to the Farm Park and the Maize Maze for the duration of your stay. At Lakeland Maze Farm Park, we have a small camping field available. Whether you are camping or in a caravan, our site is the perfect hub for both short and long stays if you plan to discover the Lake District. Of course, one of the Lake Districts best visitor attractions, Lakeland Maze Farm Park is right on the doorstep of the camping field. 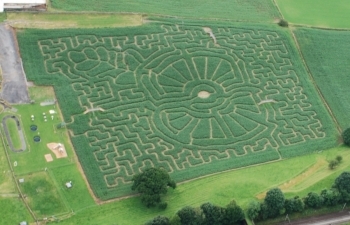 You can include unlimited access to the Farm Park and the Maize Maze for the duration of your stay.